Onyx and diamond Art Deco ring from the 1930's. Onyx and diamond Art Deco ring from the 1930’s. Product code: ES6157 Categories: Sold Items, Sold Rings. 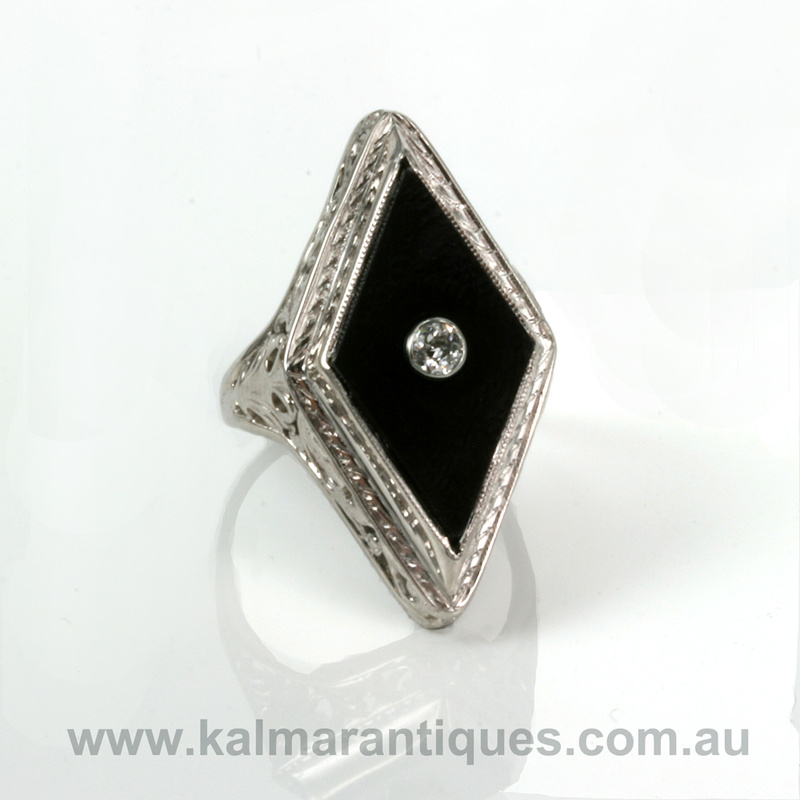 Here is an absolutely fabulous onyx and diamond ring from the ever popular and oh so stylish Art Deco era of the 1930’s. 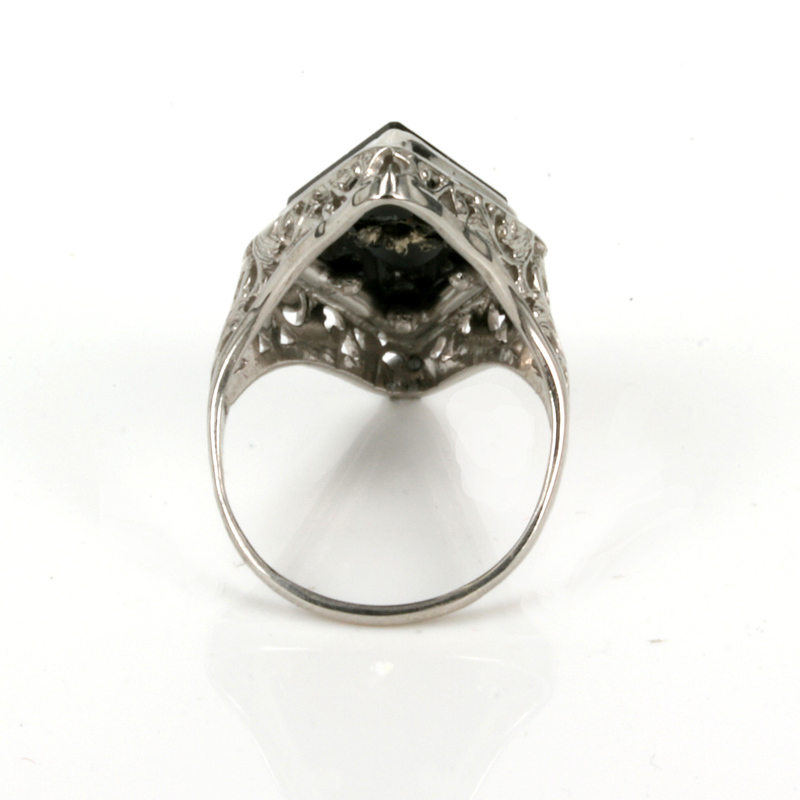 Set with a lozenge shaped piece of black onyx which accentuates the finger so well, it is set in the centre with a 0.10 carat diamond to add the right amount of sparkle to it. Made in 14ct white gold, the intricate design on the side of the ring is just one of the reasons why a genuine Art Deco ring is sought after. The top of the ring measures 15.8mm wide by an impressive 28.6mm in length and yet is still so incredibly comfortable to wear all the time. The combination of white gold and black onyx is often seen in Art Deco jewellery, and here in this 1930’s ring it just works so well and is destined to always be admired every single time that it is worn.